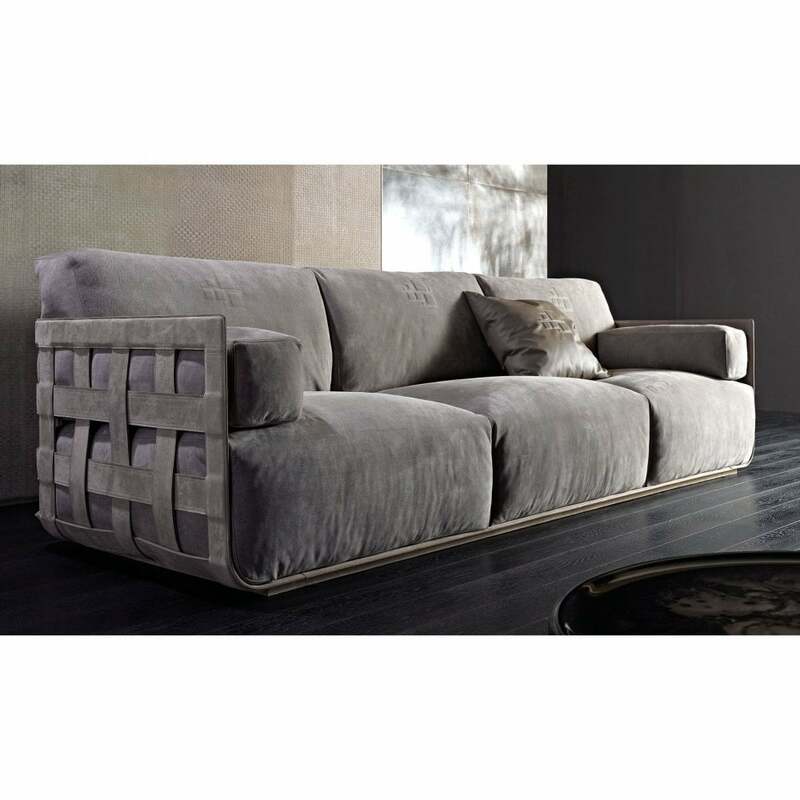 A sleek design that exudes Italian glamour, the Braid Sofa is one of the most popular pieces from the Rugiano collection. Featuring an intertwined woven panel exterior, this unique sofa is crafted with artisanal processes that are used in the world of haute couture. Upholstered in finest Tessuto fabric and Pelle leather, choose from a variety of sophisticated colourways to complement your fittings and soft furnishings. A unique design created by skilled craftsmen, Braid is available in eight variations and sizes. Design a bespoke sofa unit to suit the scale and feel of your living area. Choose to create a classic corner sofa or add a chaise longue module for a luxurious look. Get in touch with our team for more information and advice.